Dental Filling is one of the best ways to reconstruct a damaged and decayed tooth, and has great effectiveness in making the affected bad tooth, functional again. You often go to a dentist, when you sense pain, over-sensitivity, hot and cold sensitivity, looseness, injury, and other uneasiness in the teeth. The dentist will examine the problem, and see if there is a cavity in the teeth, or some of the teeth have cracked or decayed. In that case, the dentist may choose to use a dental filling to repair the affected teeth, and make it fully functional once again by eliminating the over-sensitivity, pain, and problems. # What is a Dental Filling? A dental filling is a filling made of a strong material like silver, gold, porcelain, resin etc, which is filled inside the tooth to strengthen it. The filling gives the tooth the mechanical strength back again, and makes it fully functional to chew and bite. The filling is made to adjust the normal shape of the tooth, so that you don’t feel a thing sticking to the tooth when you touch with the tongue or brush and floss. It looks good when you smile or open your mouth, when you wear a crown over a filled tooth, or get the filling done in porcelain to suit the natural tooth color. # How a Tooth is Filled? A tooth is filled using a filler. This filler is decided by the dentist only by analyzing the condition of the affected tooth, and taking into account the patient’s budget. The damaged tooth is analyzed, and the damaged or decayed area is taken out by the dentist. In the evacuated and cleaned cavity made inside the tooth, the filler material is injected to fully seal all cracks and crevices, and make the stricture with the remaining tooth bone a compact one. There are several types of filling available in the market.You can choose any of these materials according to your budget and prefrences. The most expensive, and yet the most promising filler is gold. Gold filling last almost 20 years, and is highly recommended if you can afford it. But affording a filling for one tooth and affording it for several teeth makes the difference. Hence, only individuals who can afford are suggested to go for it. Otherwise, you have plenty of other good options too. Silver fillings are also very good and is as non reactive as gold with the gum tissues. This filling material is relatively less expensive than the gold one. Since, silver filling is quite noticeable, it is not suggested to be used in front teeth. Resin fillings are made of plastic and these are mostly preferred for their shades. Resin can be matched up with the tooth color which is why the filling cannot be identified by people at a glance. Since they are economic, one can easily afford it for more than a tooth. But some restrictions do get imposed after a resin based filling. You need to limit the intake of beverages and smokes, which can stain the filler quickly. Also, the resin fillings do not last as long as metal filling does which is why you will have to visit the dentist in every 3 to 5 years. Porcelain is an another highly preferred material for filling. It is indeed a great option but quite expensive for some people . Porcelain is one of the highly recommended tooth filling material because it suits the tooth very well. No one would even know that you have a filled tooth. You can get full tooth functionality while remembering that you should be careful with biting and chewing hard things, and avoid using that filled tooth. 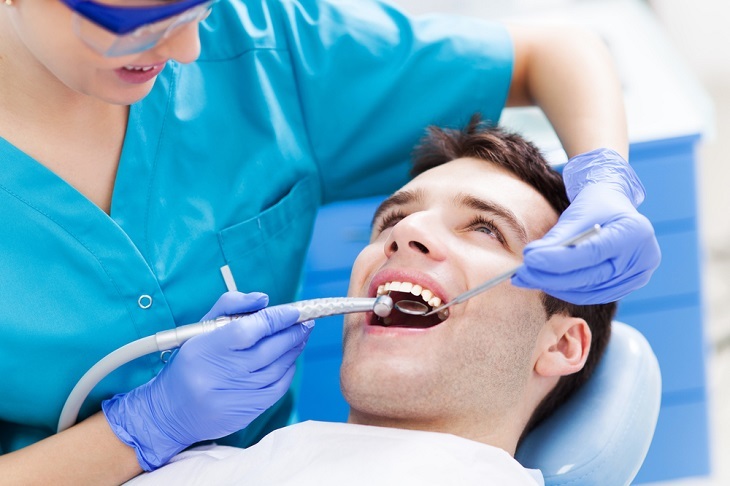 Normally, a dental filling treatment is enough to cover the flaws of the tooth. However, if the tooth still looks weak after filling treatment, an extra crown can be added to it to increase it’s strength.